local communities. It’s called Around the Table Luncheons. become connected at a deeper level; having a human impact on the needs in our communities and meeting the people behind those needs. 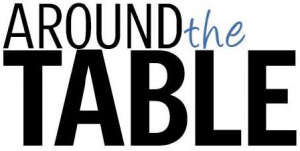 Around the Table luncheons has the potential of widening our welcome, expanding our invitation, and acting out our mission while growing the Church. everyone, not only around the table, but around faith, friendship, and care for our neighbors. culinary arts training programs for women with addiction. Transforming lives right in our own neighborhood. About 43% of the women in Phase II of Brighton Recovery Center seek employment in the food service industry. Center Table Catering is here to insure their careers in the industry are long and successful. Center Table, Catering with a Purpose is a social enterprise catering company that uses fresh, house-grown, seasonal ingredients to create delicious food for all occasions. Luncheons are scheduled to begin in January 2019. Cherie Draper, Around the Table Co-director, is looking for people to help briefly before and after each luncheon with: beverage set up, ticket taking, food presentation, clearing tables, etc. If you are willing to help contact: Cheriedraper@rocketmail.com or 425.971.4703. Watch for more info like: menus, cost, why we contracted a caterer, etc., in future Prevues articles.